In the short term, feel free to complete the form below and we will endeavour to help you find an appropriate training organisation. We offer a wide range of training courses covering everything from technical skills to photography. Most courses are only available to PVD members but there are some that have been tailored for the enthusiast. We have a network of over thirty training centres around the UK run by senior PVD members. All PVD trainers have indemnity insurance over and above their conventional cover for added piece of mind. To find out more or book a training or assessment please complete the form at the bottom of the page and we will endeavour to contact you as soon as possible. This course is designed for the complete beginner and guides students through a range of core car care processes to ensure they are able to safely and efficiently clean and protect their own vehicle. You can either book a one-to-one course at an agreed date, time, and location - alternatively we will be hosting various group events which you can attend at a lower cost. For this course the group size will not exceed five people per instructor. The Home Enthusiast Level 2 course is designed as an enhancement of the Level 1 which adds some more advanced processes and aims to create a holistic understanding of car care. One-to-one courses are available, alternatively we will be hosting a number of group classes with no more than three students per instructor. The Home Enthusiast Level 3 course introduces machine polishing for the enthusiast. Trainees need to have completed the HEL2 course or an appropriate equivalent, so the primary focus can be on machine polishing rather than preparation. The course covers the use of a duel-action or DA polisher - these are easier, cheaper, and safer for the home enthusiast to use compared to Rotary machines that professionals use. As with all Home Enthusiast courses, equipment and consumables are supplied for the day. The car club course is designed to be more than just a training day - it is an opportunity for a club meet. We work closely with various automotive organisations and can put together bespoke packages including everything from live demonstrations to catering. Though centred around car care, the group days are informal and offer plenty of time and space to enjoy a day with like-minded enthusiasts and learn lots about detailing. Some companies offer or utilise car care services as part of a larger operation - examples could be a car dealerships or a taxi firms. We offer a range of tailored services to assist with staff training and CPD to ensure you are offering your customers a safe and reliable service. There is also the option of long term technical support from your local PVD member, along with regular training updates to allow for staff turnover. This option is for event organisers looking to add an extra dimension to their public, corporate, or charity event. We can supply teams of PVD members to work at your event either in a service role, washing attendees vehicles, or in a demonstration role - showing how it's done by the professionals. With national coverage and the capacity to put together large teams of insured professionals, PVD is the perfect vehicle to add something a little special to your event. The Professional Skills Update Course is designed to form part of a car care professionals continuing professional development. The course is designed for those who are already in the car care trade and wish to update and develop their skill-set. This course is only available to current PVD members and takes a full day to complete. We will be running a number of group courses with no more than three trainees per instructor. This is an ideal course to take in preparation for the PVD Certified Valeter assessment. Certificates of completion are issued at the end of the course. *At the end of the course you can choose to take the practical element to the CVA test, then you can take the theory element of the CVA test at a later date, this saves £50. The tests are only available on 1-to-one training. The machine polishing course is ideal for professional valeters who wish to develop their skills with a view to offering detailing services to their clients. 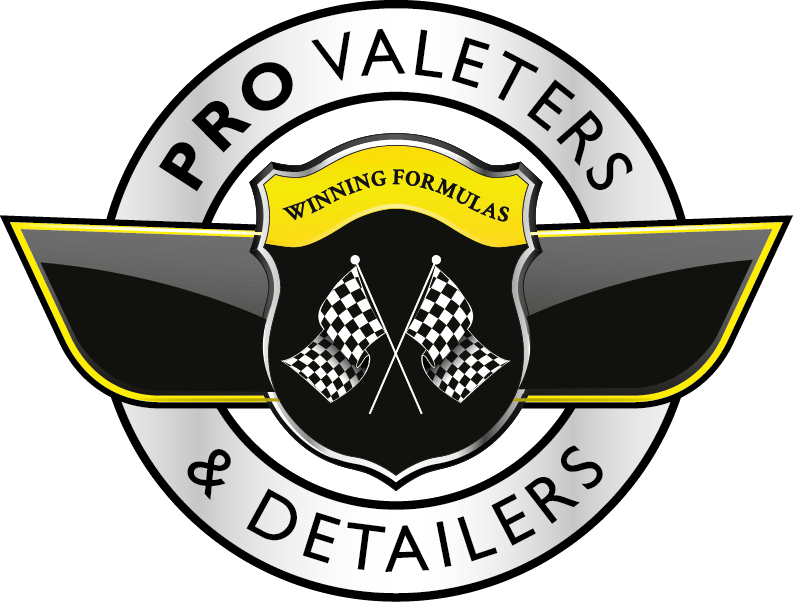 Equally, it is a good refresher course for experienced detailers who wish to sharpen their skill set in preparation for the PVD Certified Detailer Course. This course is very focused on machine polishing - it will be assumed that candidates are already proficient in safe wash and decontamination techniques. The course will cover the use of DA polishers, forced rotation polishers, rotary polishers, and specialist polishing machines such as the Rupes iBrid Nano. It will also cover a wide range of pad and compound options, and help you assess which combination will be suitable for different situations and paint types. This course is designed for those who run a car care business and wish to develop and hone the commercial elements of their operation. This is a classroom course and deals with everything from pricing models to customer care. The aim of the course is to enhance your business skill-set to help increase both professionalism and profitability. In a one-to-one course we will go through your specific business, in a group session we will cover a 'generic' business model which you will then be able to tailor to your own situation. Wet sanding is perhaps the most demanding skill in the detailers portfolio. This advanced course is designed to give you a solid grounding in the principals and techniques, which you can then build on with practice. The course is pitched towards those with no experience of wet sanding. There will be lots of hands-on practice in groups of no more than three people. The Leather Repair course gives pupils an introduction to the principles of minor leather repair. This includes dealing with minor rips, tears, and burns. After the course you will need plenty of practice prior to offering the service, but your tutor will be available by phone for continuing support and advice as required. The Advanced Leather Repair course builds on the skills learned in the Level 1 course and introduces re-colouring. This can be used after a specific repair or as part of a re-colouring service. Whereas the level 1 course covers basic colouring using pre-mixed dyes, the level two course introduces the more advanced skill of creating your own custom colours. The Level 1 course is completed on leather samples, the Level 2 course will involve the restoration of a complete seat. Convertible roofs need specialist skills to deep clean, restore, and protect. This course covers all of these elements in detail to ensure you can safely offer advanced convertible roof services to your clients. Part of the Certified Detailer Assessment covers convertible roof care. These courses will be booked well in advance to ensure a suitable vehicle can be sourced. The Paint Chip Repair course focuses on the Chipex solution. It is designed for professionals wishing to offer the service to customers, normally as part of the Chipex Approved Repairers gateway scheme. The course goes well above and beyond the conventional application technique recommended for home-users, and includes application by spray-gun and the repair of chips, road rash, scratches and minor scuffs. It is an ideal course for those who are considering joining the scheme, while the Level 2 course is for those who have joined the scheme and already have experience with the system but want to take it to the next level. This course is only available to those with experience of the Chipex system and are part of the Approved Repairers Gateway scheme. It is designed to hone and develop your existing skills so that you can offer more advanced and complex repairs. The restoration of plastic headlights is an ever-popular service with clients. This half day course goes through all the processes required to successfully restore and protect headlights through a combination of sanding, polishing, and application of a UV sealant. There is often more to the process than meets the eye, so it is highly recommended that members undergo training prior to offering the service. For the modern car care business social networking and Search Engine Optimisation (SEO) are essential to maintain a market presence and brand awareness. This course is designed to help business owners understand the principals of online networking with a view to ensuring their website and social network presence works for them. This course its pitched towards those who are not particularly technically experienced - so no matter what your IT experience, you will be able to benefit from the day. The PVD photography course is run with Jessops, who supply the expertise and equipment. These courses have been designed specifically for those in the car care industry, covering all the techniques needed to capture images of your work. The course covers everything from use of a smart phone to manually focusing on paint surfaces to capture defects. The course is only delivered to groups of up to eight pupils, and for those without their own equipment, loan gear can be supplied at no extra cost (prior notice required). Various discounts are available on equipment for those who have attended the course. Candidates are required to complete five modules to pass their CVA - Wash & Decontamination, Interior Cleaning, Multi-surface Protection, Chemical Knowledge and Health & Safety, Customer Care, Advanced Contaminant Removal. Each module has a 30 minute theory assessment which is taken under exam conditions followed by a 90 minute practical assessment. Once all five modules have been passed, members will be required to submit an application to gain their Accredited Valeter Certificate. The modules may be taken one at a time or in multiples. Some PVD Approved trainers offer combinations of training courses and appropriate assessments. Candidates are required to complete five modules to pass their CDA - Paint Correction, Wet Sanding & Paint Chip Repair, Ceramic Coatings, Leather Repair, Concours Preparation. Each module has a 30 minute theory assessment which is taken under exam conditions followed by a 90 minute practical assessment. Once all five modules have been passed, members will be required to submit an application to gain their Accredited Detailer Certificate - such as proof of professional experience. The modules may be taken one at a time or in multiples. Some PVD Approved trainers offer combinations of training courses and appropriate assessments. Members will need to have completed their CVA assessment in order to attain their CDA status. For someone new to the world of professional car care, the PVD Trade Association can be a very useful resource to help you build and develop your business the right way. However, while we positively encourage new talent into the industry, we also need to ensure that even a standard PVD member meets certain technical ability criteria. Many come into the industry with substantial amateur experience and this assessment is to ensure any knowledge-gaps (common among the self-taught) are plugged. On application to join you may be asked to complete this assessment in order to be accepted. Equally, if we have concerns or complaints about an existing member, regardless of experience, we may insist that they pass the assessment to maintain their membership status. On passing this assessment we can, and indeed you can be confident that you will be able to safely and reliably offer valeting services to the public. This course is less about the technical elements of car care and more about honing your skills as an educator. The course covers the principles of training, presentation techniques, course planning, and explains how the PVD Course Packs work. This orientation session is a pre-requisite to becoming a PVD Trainer, though is useful for anyone wishing to add training to their portfolio of services.